Oh no! Did you or someone else make a mistake? This confused and embarrassed panda knows what that feels like. Feel free to send them if there’s a bit of miscommunication with the person you’re talking to. 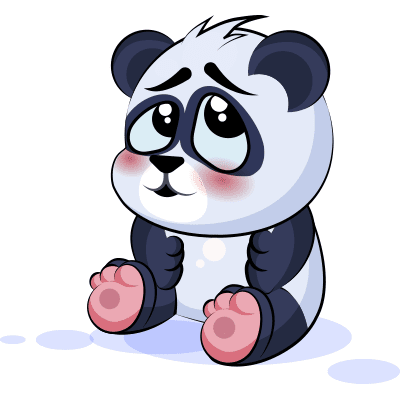 It happens to the best of us, but at least this panda can help lighten the mood. We’re sure that they’ll understand. It’s a cute way of admitting that you might need a little help understanding something. Try it out!